Trying to juggle while working at height is rather dangerous, so why would you struggle with holding many tools or trekking up and down a ladder when you don't have to? 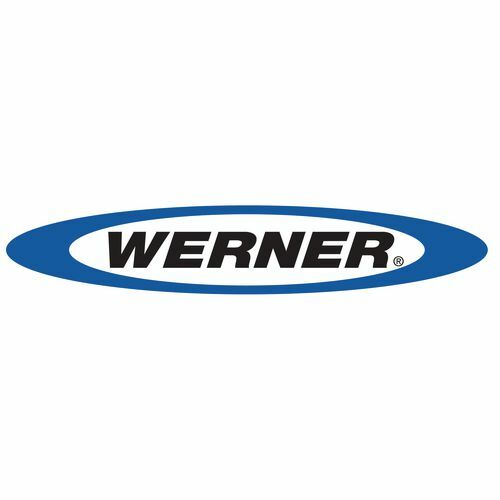 Our job bucket can help make working at height more efficient, allowing the user to easily have their essential tools close by. Integrated tape measure and screwdriver holders provide a safe and convenient space to hold tools while working at height. There are also storage holes for other tools or rags and there is a deep tray with an 11kg load capacity. The carry handles make is easy to transport the bucket up and down the ladder and around your work area. 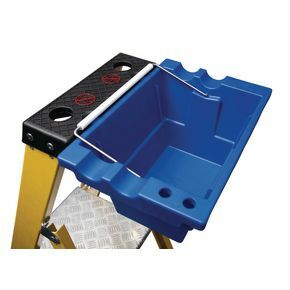 These buckets suit both the industrial and trade glassfibre steps and they are accessories, so cannot be purchased separately. To view or purchase this item alongside the parent product please click the link on the right hand side of the page or enter the product code "385438" into the search bar at the top of the page. Our job buckets are a great addition to the industrial and trade glassfibre steps, making working at height easier and more efficient; they come with a 12 month guarantee.